Did I mention that I have a soft spot for little boys in bow ties and sweater vests? That soft spot grows even bigger when it’s my own little boy. You will often hear me say that my children are the toughest subjects for me to photograph as they know all my tricks already! But sometimes, they do make my life a little easier and cooperate. 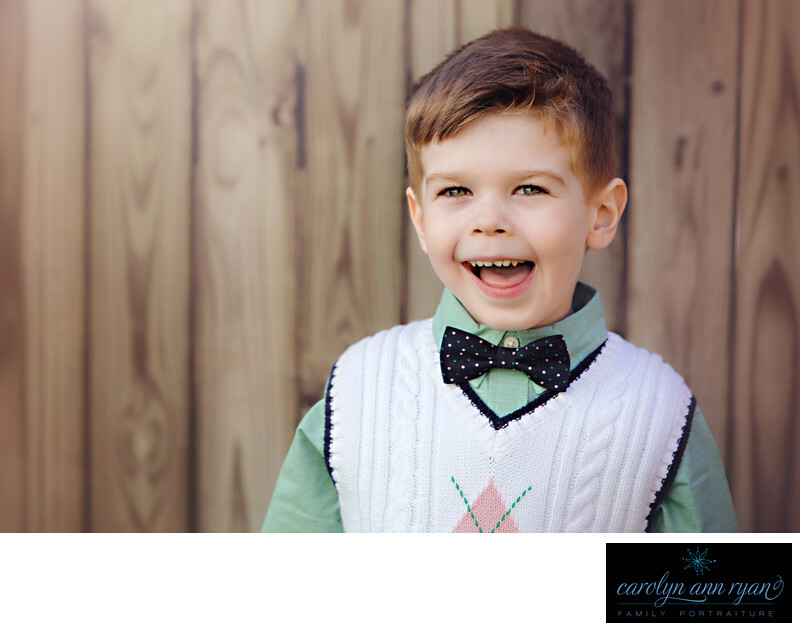 I loved photographing this little man in his polka dot bowtie and argyle sweater vest. It was Easter Sunday and he was dressed in his Sunday best for our family dinner at my sister's home. I have always loved how the sunset spills over the light gray fence in my sister's backyward and this fence has become a common backdrop for my child portraits on my nieces, my own child and our whole families. That makes it fun to look back on these portraits year after year and watching these little ones grow.Keywords: bow tie (6), bow ties (6), boys (120), Easter (6), giggles (105), green (24), Janie & Jack (15), pink (57), polka dots (18), Spring (48), Sunday best (9), sweater (60), timeless (54), toddler (39), toddlers (45). 1/400; f/4.0; ISO 100; 150.0 mm.